30.06.2013. On June 30 French news agency AFP published article Georgian wines back on Russia market after ban by Max Delany. In the article, AFP is quoting answers of Artenom Georgia Consulting's head Alexander Kaffka, who was interviewed by Max Delany. Earlier in June -- over seven years after Moscow slapped a ban on Georgian wines amid spiralling tensions that erupted into a brief war in 2008 -- the first batch of wine from the tiny former Soviet state was allowed back across the border into Russia. That is a big hope for the entire wine industry in Georgia -- a mountainous republic on the Black Sea that is considered by many experts as the cradle of wine-making. Georgian-born Soviet leader Stalin reputedly liked Khvanchkara so much that he served it to US president Franklin Roosevelt and British prime minister Winston Churchill at the crucial World War II summit in Yalta in 1945. 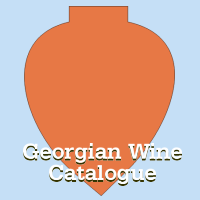 "Simply said, today's Georgian wine is a completely different product," said Alexander Kaffka, who publishes Hvino News, a website dedicated to the Georgian wine industry. "The market conditions are also completely different -- a whole new generation has emerged in Russia, which is not familiar with Georgian wine at all, and is used to consume other brands," Kaffka said. While improved quality has played a role, observers put the ending of the Russian ban down to two major factors -- a change of guard at the top of Georgian politics and Russia finally joining the World Trade Organisation last year after Georgia dropped its long-standing opposition. Although wine was the Georgia's seventh largest export last year, experts say that the lifting of the Russian ban is unlikely to have a major impact on the country's overall economy. Agriculture only accounts for some 10 percent of the country's total gross domestic product, meaning the return to Russia is likely to be more psychological than financial for a country that prides itself on its millenia-old winemaking traditions. "The importance of wine for Georgia is rooted deeper, as it's so closely related to country's ages-long history and culture," wine industry expert Kaffka said. Full text can be found here.